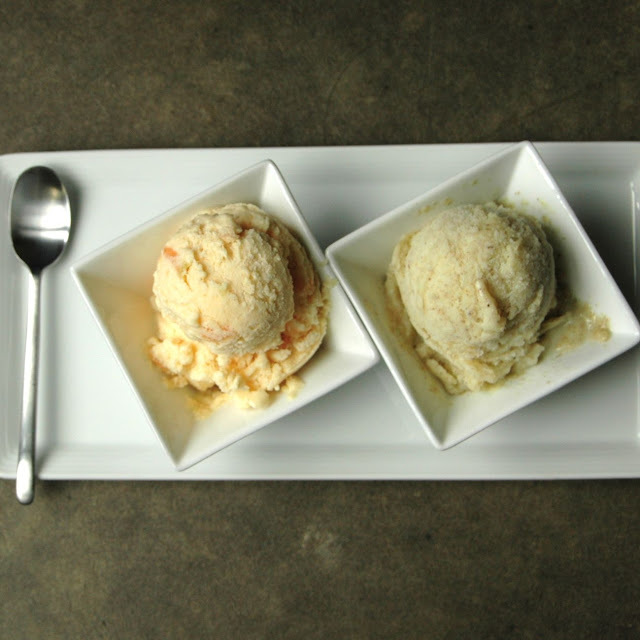 With this cross-country heat wave, we need some homemade ice cream to cool us down. These scoops are not your ordinary chocolate and vanilla flavors. Last week, we got a ton of melons and basil from our CSA, so I combined the two together with some eggs and cream and came out with the most refreshing treat ever. The other concoction is not quite an ice cream but an ice milk. What is ice milk? 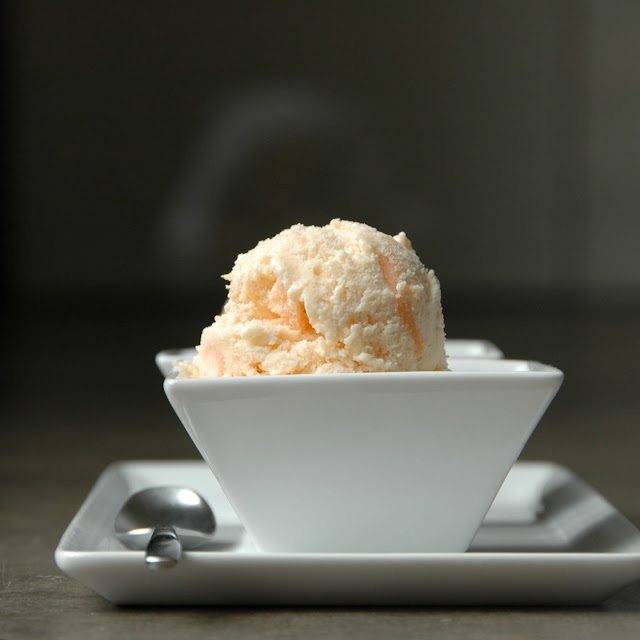 Pretty simple, instead of the cream, I used milk for a lighter version of my favorite summer indulgence. combine the sugar and milk in a heavy medium saucepan. place over low heat and stir until the sugar is dissolved and the milk comes to a boil. gradually beat the hot milk into the egg yolks in a bowl. pour the entire mixture back into the pan and place over low heat. add fresh basil leaves. stir constantly with a whisk or wooden spoon until the custard thickens slightly. be careful not to let the mixture boil or the eggs will scramble. remove from the heat and pour the hot custard through a strainer into a large, clean bowl. allow the custard to cool slightly, then stir in cantaloupe puree, cream, and vanilla. cover and refrigerate until cold. stir the chilled custard, then freeze in 1 or 2 back in your ice cream machine according to manufacturer's instructions.when finished, the ice cream will be soft but ready to eat. 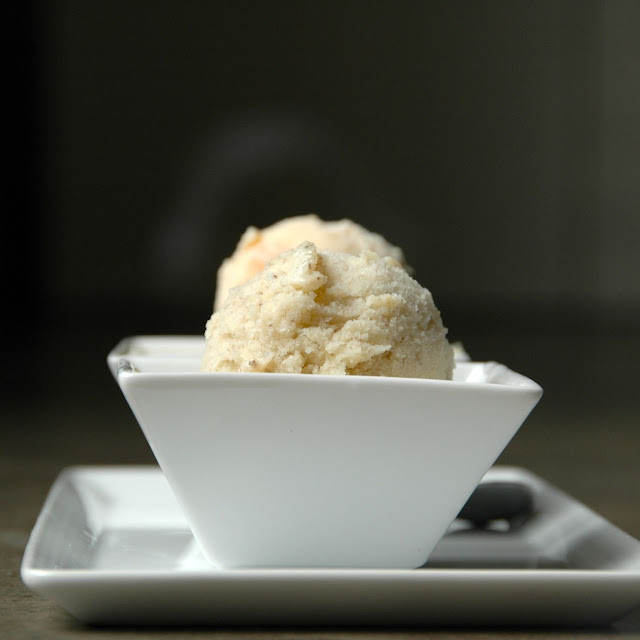 for firmer ice cream, transfer to a freezer safe container and freeze at least 2 hours. Preheat the oven to 350 degrees F. Put the unpeeled bananas on a baking sheet. Bake for 10-15 minutes, until soft and beginning to give off some liquid. Let cool. Remove the skins from the bananas and puree them in a food processor. In a bowl, whisk together the egg yolks, 3 tablespoons of the sugar, and the salt. Combine the milk and remaining 3 tablespoons sugar in a heavy saucepan. Cook over medium heat, stirring occasionally, until almost simmering. Slowly pour the milk into the eggs, whisking as you pour. Return the milk mixture to the saucepan. Cook over medium-low heat, stirring constantly with a heat-resistant plastic or wooden spatula, until the custard reaches 175 degrees F and lightly coats the spatula. Strain the custard into a clean bowl and cool over an ice bath until room temperature. Stir the banana puree into the custard and let rest in your fridge for at least 4 hours or up to overnight. Churn in an ice cream machine according to manufacturer’s instructions. Freeze until scoop-able, about 4 hours, depending on your freezer.